Dye-Na-Flow is a highly-concentrated, free-flowing, non-toxic fabric paint that simulates dye; it is designed for use both natural and synthetic fabrics. The colors remain soft and colorfast after heat setting with an iron. 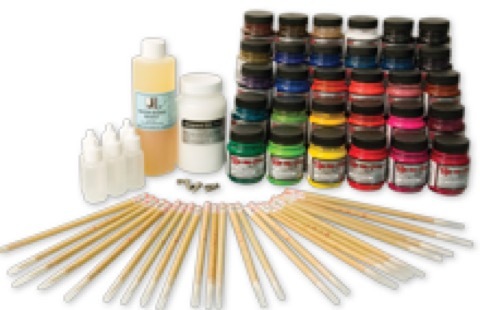 This flexible Class Pack contains all the supplies needed to do hundreds of fabric painting projects. Students are only limited by their imaginations when creating projects with these fun and easy-to-use paints.